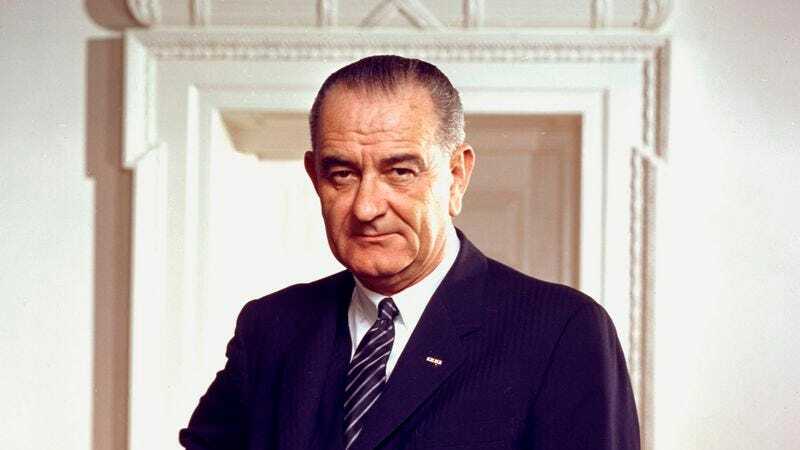 BOCA RATON, FL—A survey of the nation’s Alzheimer’s patients conducted Sunday by Public Policy Polling indicates that Lyndon Johnson now holds a comfortable 8-point lead in the 2012 presidential race, having pulled ahead of candidates Hubert Humphrey, Adlai Stevenson, Mitt Romney, and Gen. George S. Patton. “I’m voting for Lyndon Johnson this year,” said poll respondent Marjorie Halter, adding that she cast a ballot for Gregory Peck in the last election, and that she intends to vote for the Democratic ticket again this November. “I think Johnson and [Halter’s son] Doug will make a really strong team.” According to the poll, a full 14 percent of Alzheimer’s patients are still undecided, and could very well end up voting for former Olympic gymnast Dominique Moceanu if she does well in Tuesday’s debate.